Kuuts LLC, the company best known as the U.S. distribution arm to the brands out of Compania Hondurena de Tabacos has a new CEO in Steven Ysidron. Ysidron well known for his time as the owner of Epicurean Cigars. Since joining Kuuts, he has been working on rebounding and revamping the portfolio into eight lines. As a part of this effort, Ysidron is bringing a couple of familiar lines from his Epicurean line in Gonzo Santeria and Carnavale. The revamped portfolio will be showcased at the 2016 IPCPR Trade Show in Las Vegas opening on July 24th. Three lines coming over with the existing branding are the Miro Capa Negra, Kuuts Nicaraguan Blend, and the Kuuts Connecticut. Meanwhile the company is introducing three new lines. 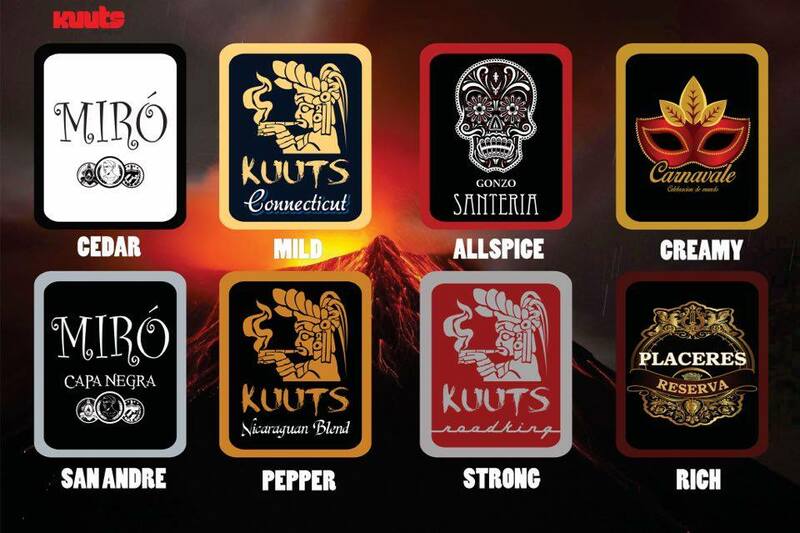 These include the Miro White Label, Placeres Reserva Estate Grown, and the Kuuts Roadking. Ysidron stated that at this time the company has chosen not to disclose the blend components for these new lines. Gonzo Santeria and Carnavale are two lines Ysidron brought to market in 2014 by Epicurean. These now carry over and will be distributed through Kuuts LLC. Ysidron informed Cigar Coop these lines will stay the same. The sizes for the five new / re-branded lines will be consisent. Each of these five new lines will now feature a Robusto, Toro, and a Gordo. Kuuts LLC was launched in 2012. It was originally launched as a distribution arm for products manufactured by Compania Hondurena de Tabacos in the U.S. market. Ysidron’s appointment fills a void when left by the departure of John Gonzalez who served as Vice President and General Manager for Kuuts.